We can’t help but share this story posted on Facebook by Adebowale Ibukun Tosin. I shouldn’t have had any ‘albino-phobia’ to deal with since I was born by one, raised by one, grew up to love her like honey, wouldn’t go to sleep if she’s not back, yearned for her delicacies whenever I’m away and so forth. But my mum seemed to be a different breed, and this is not me trying to paint her as some better human – just saying it as it is. Once, she got an invitation from a Professor in LUTH to come and share with albinos on how she takes care of her skin – she aptly responded by saying she does nothing special. 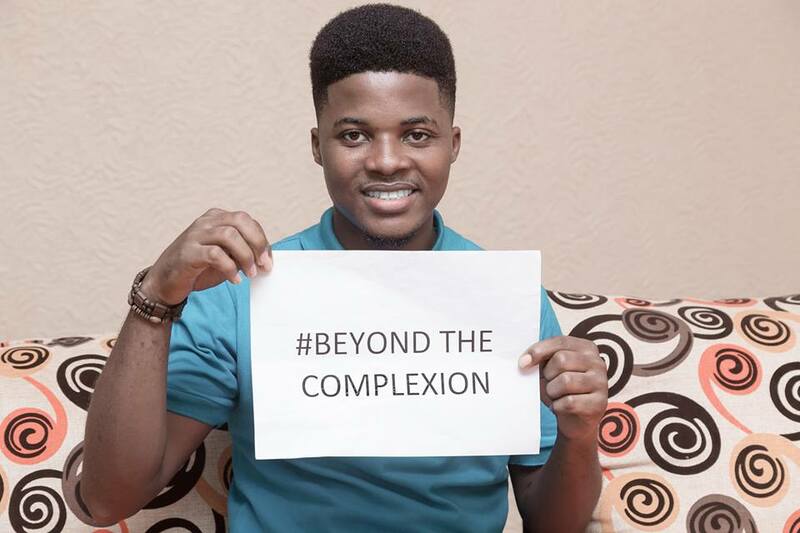 The ONLY thing growing up with my mum did for me was that I saw people Beyond The Complexion. As long as your skin, sight, and whatever was cool, I wouldn’t mind if you’re green, red or grey. But since her eyes are stable which means she has no difficulty seeing in the sun, (I’ve never seen her put her palm on her brows to see better), she eats salt well, her skin is so clean most of the time and her seasonal spots seem like the normal rashes caused by heat, my encounters with others out there was strange. One yoruba actor even spoiled the whole thing as he acts in a manner that just weakens me. I didn’t like staying around them because I just felt irritated by many things. Apologies. What changed my attitude wasn’t any dramatic encounter with their kindness – like someone buying me Gala and Hollandia (It would have been super cool o). What changed my attitude towards them is GROWTH. As I grew up in my faith, I developed open arms to all, especially the stigmatised and rejected. I’m the kind of guy who can be all dressed in Jeans and sneakers yet be found sitting with a dirty beggar, engaging him. Jesus gave me a new heart that feels no superiority or inferiority. So I began to see humans as equal. I stopped dreading albinos of all kinds. I started seeing the beauty in all humans. I must also say that the challenges of Albinos don’t define them. They are humans. They are equally gifted, equally good-hearted, equally emotional, and so forth. They can bless or cuss. They can laugh or be angry. Being angry isn’t a sign of mental disorder in their case – just normal. Their complexion is different but their blood is equally red. The next time you see an albino, remember I told you all these, then relate well.